Rivers State Governor Nyesom Wike. “All PDP people are happy. We are one family, you may support aspirant A or aspirant B but once somebody has emerged, you owe it a duty to make sure that your party returns to power." 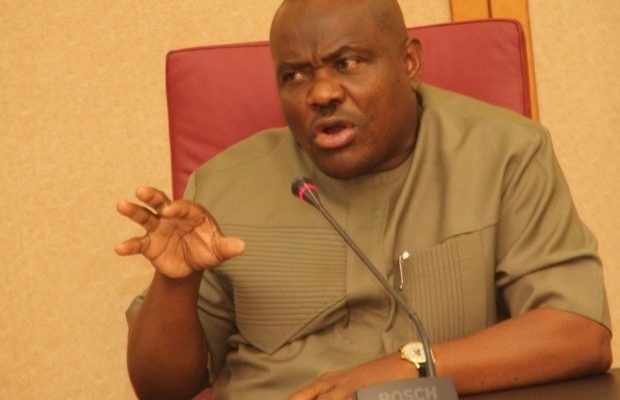 Rivers state governor, Nyesom Wike, says PDP will do everything possible to ensure they take over power from ruling All Progressive Congress, APC come 2019. Governor Wike who is a chieftain of the party, said this after a closed-door meeting with the party’s presidential flagbearer, Atiku Abubakar, shortly after the presidential primaries which held in Port Harcourt, the state capital yesterday Sunday, October 7th. “All PDP people are happy. We are one family, you may support aspirant A or aspirant B but once somebody has emerged, you owe it a duty to make sure that your party returns to power. "So, we are doing everything we can to make sure that we don’t give any gap for APC. They have failed Nigerians and we will do everything to take over in 2019,” he said. Atiku Abubakar won the presidential primary election of the Peoples Democratic Party (PDP). He defeated 11 other aspirants to win the ticket by polling 1532 votes at the party’s national convention held at the Adokiye Amiesimaka Stadium, Port Harcourt, Rivers State on Saturday and Sunday.